Regular Rate $1605 . Today Only $399! 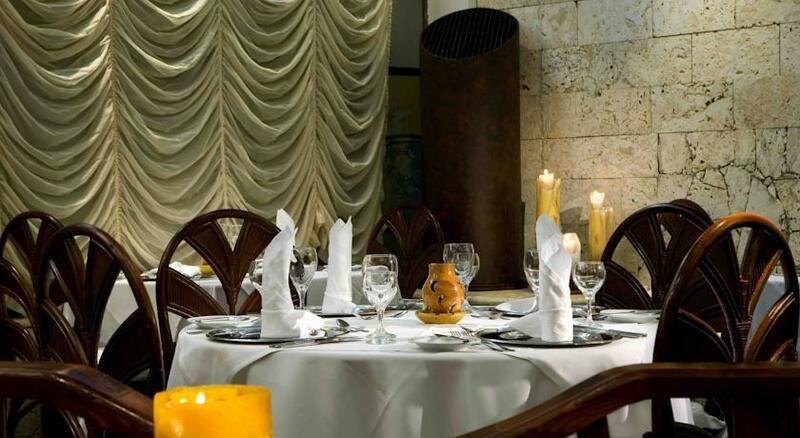 Sirenis Cocotal Beach Resort & Spa also offers great dining choices including a-la-carte themed dinners and buffet. 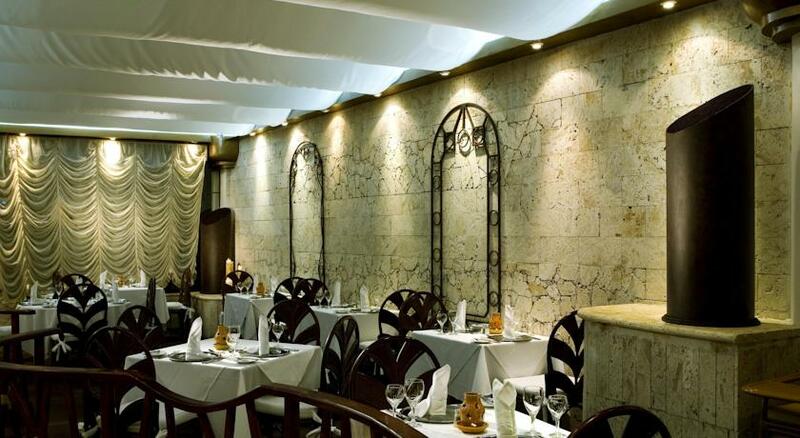 Enjoy a wide variety of cusine including: Traditional Mexican, Fish & Seafood, Steakhouse, Italian and Chinese dishes. The pool is huge and there are plenty of beds any time of day and also lots available on the lovely beach. The staff are all very friendly, constantly topping up your wine glass during dinner and getting your drinks from the bar during the evening (all without us tipping them). They are constantly cleaning the communal areas including tending to the gorgeous gardens. Our room was cleaned daily with towels replaced daily too, and fresh flowers put on our beds. 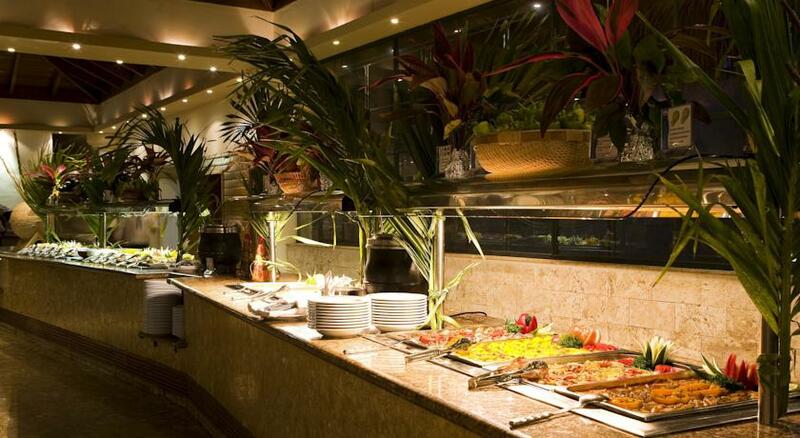 We ate in the main buffet every mealtime and the food is very good with lots to choose from each time. We did visit the Italian one evening which was also very nice. Our varied gastronomy and our themed restaurants will seduce you and will convert your holidays into one of the most wonderful and unforgettable moments ever. Discover a new speciality every night: Japanese, Mexican, International, American, Italian and much more! Buffet restaurant available for breakfast, lunch and dinner. I want to thank BookVIP for this wonderful vacation. The resort has been absolutely amazing. The food has been great. The staff have been awesome. All of the facilites have been beautiful and well maintained. It's been absolutely wonderful and we will use BookVIP again! What a wonderful, beautiful facility. You can just relax here and have fun in the sun. We stayed here between 30th September and 15th October 2013 - Sorry has taken me this long to get back into the swing of things :) We had the most amazing time and have to say this was one of the best holidays we have ever had. I was a little worried after reading some of the reviews but have to say our fears soon disappeared once we arrived. We were greeted with a cocktail while we waited to check in and then our bags were taken to our rooms. The room was huge. You are in the middle of no where but there is a bar a 15 minute walk up the beach, we didnt feel the need to go out as there was a lot of entertainment in resort. We did a couple of trips and have to say that a trip to Saona Island is well worth the money. We ate at most of the restaurants and enjoyed them all. The steak we received at the steak restaurant was huge - my partner couldnt even finish it even though he eats like a horse!! All in the staff were friendly, our rooms were cleaned daily, the food was lovely and do not understand some of the horrible complaints. I would definitely go back and are looking at booking Sirenis in Mexico for this year. "1st visit to this Resort"
We visited Sirenis Cocotal Dec 15- 22nd 2013. Trip from the airport was longer than expected, but from that point on things got better. Check in was quick and our bags were at the room within 15 mins. Our room was at the far end of the Resort close to the beach but no problems getting around as there was always a golf cart willing to take us any where we wanted to go. Although there were the usual language barriers when visiting a foreign country, the staff were more than accommodating to any thing we could possibly need. Everything about this Resort was clean and up to date, but what really makes this Resort special is the people that work there. We were blown away by how friendly and helpful all the staff were. The bar staff in the lobby were some of the best people there. They always remember your drink and people should remember that tipping goes along way. Our Concierge Leo bent over backwards to iron out every minor wrinkle we encountered. The Buffet Restaurants were great , they had a huge selection of fresh food to accommodate any taste. The Al a carte Restaurants were great our favorites were the Steak House, Mexican and the French. The beach was spectacular and very clean. The view was breath taking from our Ocean view balcony. The pool area was great as well the bar staff there were super friendly too. I have read a lot of negative reviews about this place and as far as we can see the complainers have unrealistic expectations. Are we going to return to Sirenis...HELL YES we have never met more friendly people at any place we have been to. "Great place for family gathering"
Our family of 18 spent a week at this resort and were happy with our holiday. Greeted with a cold drink, so needed, our rooms were in need of updating, but very comfortable, lots of room. Our maid, Mary was excellent, terrific service. Our only problem was the inability of so many of the staff not specking English, we often had times we just couldn't understand each other. The beach, we claimed the log as home each day, is so beautiful. Drinks good, always clean, activities for those who wanted to participate. We nightly met in the lobby, putting couches together, and never had any problems. Great time for all of us! We found the steak house the best food, but we are Canadians! Loved this resort! Great place for families traveling together. Great service that goes above and beyond and if you are vegetarian Darling is a great person to have around! He is very accommodating and very sweet! You can run out of activities to do at the resort but I would recommend taking the Buggy excursion that goes through mud puddles and leads you to a gorgeous beach! Overall a great vacation!!!! "second time just as good as the first"
This was my first visit to Punta Cana and this place rocked! It's not a huge place which we liked;we didn't want something big. The villas were a perfect size so it didn't make u feel u were @ a big hotel and had to travel a while to get to where u are going. Great service, and friendly staff. Everybody was always smiling and saying Hello. The gardens were kept beautifully and the grounds were always clean and inviting. The food is awesome! The Steakhouse was our fav out of the resturants. We actually ended up going there twice :) The rooms were clean and always kept nice by the maids but the beds were very hard, so if u like a hard bed u'll love that! The beach was nice, again always kept clean. I would have to say my only complaint was it took an hour to get here from the air port. We didn't realize how far up it was, so def not the hotels fault. "Second visit (better than our first)"
Arrived on 13th december, Brand new road leading to hotel,xmas lights everywhere, looked great! We were greeted with a smile & a nice cold drink at reception. The reception staff were happy and processed the paperwork in no time. Room was great. We had in each room, 2 double beds,large wardrobe complete with mini ironing board and iron, safe ($3.00 per night plus $50.00 deposit-refunded on checkout) flatscreen tv, air con & ceiling fan.. also we had a "living room" which consisted of, table,chairs,lounger , second tv,fridge and coffee percolator. Bathroom was spacious with plenty of towels and hairdrier. Yes there are rooms that need updating,you have to accept it in all large hotels, if you not happy with the room simply ask to be moved,we found everyone helpful and friendly, Grammy the thomson rep, well let's just say he's a true gentleman, goes well out of his way to help you a real pleasure to be with, i spent a few hours with him every day (my choice) he is sooo informative just keep telling him to smile! The food as in all-inclusive restaurants repeats,i must say it's well cooked served hot and with plenty to choose from, you can always find something good to eat, We thought the food was better this time than last, You are allowed 2 stays per week in the a la carte restaurants as part of the all inclusive, as we were return guests we were given extra a la carte meals. We ate at the steakhouse to which was of excellent quality highly recommend, the mexican was nice but not as spicy as i would have expected. the vegetarian-well i'm a meat eater so didn't really look forward to it, Boy was i wrong. we had a tall vegetable pie with brie sauce, it was to die for!!!!!! The italian i love italian food, my expectations were high , must be honest i was a little let down. Saved the best for last. THE JADE,OMG-----Words fail me, it's asian (chinese) well they put on a show for you, not going to tell what they do as it will spoil it, just to say it was the only one we went to twice. Pools are massive, deep,shallow & even a whirlpool one behind the steakhouse, no problem with sunloungers as most people were on the beach.. They now have a new waterpark as part of the all inclusive, 'i'ts only a couple of minutes walk out of reception, they have speed slides tube slides pool , great fun, also is all inclusive, food drink even towels, don't forget your towel card. Did 3 trips with Grammy, yes you can get them cheaper . it's just i prefer trips with a small group of people (thats what thomson do) so you can enjoy it better, we went to saona island, hey we were the only boat there, fabulous. also did swimmimg with dolphins, yes we got exactly what grammy said , absolutly awesome, also the zip line in the canopy---incredible. In conclusion it's our second visit to this hotel. extremly friendly staff, great food, excellent rooms, lovely pools and a new waterpark. Thank you Veronique for making this one of our best holidays. an excellent hotel overall although the rooms could do with updating,the restaurant is good with a varied selection of food to suit most tastes and there are a variety of al-a-carte restaurantes to choose from as well,2 a week free,the shows are very good,the main bar and bar staff are very good and good fun,the swimming pools are excellent with a nice pool bar,there is also a beach bar which is good,the beach is excellent and if you are like me that enjoys long walks then turn right on the beach and walk up to the white house,take a couple of bob with you as there is a bar there,this was our second visit to this hotel and we will definitely be going back again. "Best time of my life!" Before me and my friend left for this holiday we read trip advisor reviews religiously, and some where really horrible but wow they must be moany people by nature! We arrived to cocktails, are bags where bought up to our room by the bell boy within 5 minutes we tipped him $5 and my friends lock had broke (she snapped the key) he offered to help with bolt cutters straight away! The staff are always smiling considering they work all day and will do anything to help you. The room: was clean tidy fresh towels everyday, stocked fridge Big beds (very comfy) and the blocks are close to everything! The food: can't fault the Buffett, taste for everyone, from chips, pizza, spaghetti, rice, fish, steak, soup and so much more! The al la Carts: we visited jade (twice) it was amazing not just food but a show too and you really will be stuffed! the Italian I absolutely loved big buffet starter of all italian foods and the menu had so much to chose from! Mexican wasn't my favourite but not everything can be for me. Entertainment team: WOW I feel like I've left friends behind! They work from morning to night and don't let it show, special mention to Alvin the chipmunk, staudi, Melvin, tony Montana, labrinth (the pope) the arrow ping pong and the guy who holds it all together Casanova! They are around the pool and beach during the day for games and if you want a chat, then at night the shows are amazing Greece, dirty dancing and Michael Jackson where my highlights they get the outfits bang on and dance like you're in the west end! The night doesn't end there after that until about 12 just by the theatre, music, karaoke, dancing until 1 then the club opens really fun and just so different! Everyone is happy and just enjoying themselves! Made so many friends and I can not wait to go back next year! Never felt so welcome and safe on holiday! Just came back from two perfect weeks at Sirenis Tropical Suites. The resort is absolutely amazing and there is not a single thing to moan about! The Resort is massive but everything is easily accessible, each apartment block is close to something so you are never far away from where you need to be. We stayed in Block K which was a 2 minute walk away from the lobby and restaurants and about 5 minutes from the pool and beach. The suites are really big with two double beds in and a lot of wardrobe space. The rooms are spotless and were cleaned every day. The maids were excellent and constantly restocked our mini fridges and bathroom. We only tipped once but still everyday our room was immaculate. Food- The buffet had an excellent variety every night. We went to three a la cartes during our stay: Jade was amazing they put on a performance and cook the food in front of you our chef Dave made our experience! We also went to the Italian which was also really nice. The all inclusive alcohol was also great there are so many cocktails to try and it really is a free fall there are no measurements, special shout out to our favourite bar man Sergio! Both the pool and beach were beautiful. We spent most of our time by the pool sunbathing and there was plenty of sun beds and shaded areas. The beach is really clean and they have water sports which you have to pay extra for (Banana boat was $10 for 10 minutes). For souvenirs you should talk a 20 minute walk along the beach to tropical treasures as it is cheaper than the resort gift shop. If like me you burn (ginger problems) take a high factor I went with a factor 30 and after the first day I had to fork out $34 for a factor 60. Entertainment- The animation team made our holiday! The shows were amazing every night. There was never a repeat of the same show and the dancers were excellent. We loved the grease show, dirty dancing and the Michael Jackson night. Before the shows there would be games with the guests or bingo. After the shows in the theatre there is an outside area where there would either be a disco (60s, 70s and 80s), Karaoke night, live band or a DJ. This would go on until 12pm and then you could go to the resort club. You do have to pay for drinks in the club but it is really cheap. Our holiday would not have been the same without the animation team and would like to say a special thanks to Alvin, Melvin, Tony Montana, Staudi, Labrinth, The Arrow, Ping Pong and last but not least Casanova for making our holiday fantastic. The animation team work so hard but never complain, they are on hand from the morning right up until the club closes at 2am! Make sure you go to the beach party when you stay at this resort as it is fantastic and Alvin the DJ is brilliant and played English music for the majority of the night. Make sure you ask Casanova to play Tappy Tappy it was easily the highlight of our holiday. Our Thomas Cook Rep Suzy was also fantastic! We booked the Dolphin Explorer excursion which was $150 it is well worth doing and a reasonable price for what you get to do on the day. We absolutely loved this holiday and cannot understand what people have had to complain about, if you want a nice relaxing holiday but also want entertainment and nightlife this is the place to go. Myself and my friend (20 and 21 years) absolutely loved it and there is things to do for all ages. We cannot wait to go back next year, missing it already!!!! "Loved every minute of it!!" Just stayed here for 2 weeks on my honeymoon. First time in dominican and loved it! The hotel is lovely and clean, all The staff are friendly even down to the maids/gardeners. The best ala carte restaurants are jade and Italian. Buffet food is basic but still nice and have a theme each night which includes the staff dressing up for the theme. Selection of cocktails is great and includes alcohol free ones. The people that make the hotel so amazing are the animation team! They put on amazing shows each evening and then party into the night afterwards at the disco on site. They are so funny and friendly and really make an effort to have a laugh with the guests. Would definitely to back! Just got back from 2 weeks here. We were welcomed with a glass of bubbly on arrival and that's how it went on - the staff cannot do enough for you. The bar and entertainment staff are second to none. They are constantly on the go to please and entertain you and always smiling. They work extremely hard. Tony Montana, ping pong and arrow from the entertainment team will make your holiday! The food at the buffet does get repetitive and we ended up living on carbs pasta, pizza and chips by the second week due to suffering from bad stomachs. Avoid the rice! I recommend booking as many restaurants as you can. Jade the Japanese restaurant was excellent as was the Italian. The pool and beach areas are superb. The only negative we had was the evening entertainment is armature and there isn't a lot to do in the evening. Although the entertainment team work really hard the hotel need to hire in some evening entertainers. Other than that we had no complaints and would return and recommend. Best and most relaxing 2 weeks of my life rooms were cleaned everyday and water, coke and fanta in your fridge everyday which is a plus, also flowers were a nice touch. The staff are so friendly and helpful always smiling! Especially Abel at reception always ready to help and a pleasure to chat to and we can't forget "50 cent" for entertaining is wiv his raps. Food at the buffet has a lot of variety especially loved the fresh smoothies they make for you in the morning, also the steakhouse was yummy! Loved the big selections of cocktails. Beach was beautiful and you can always find a sun lounger and same at the pool to. The entertainment team are fantastic so much energy and so much for you to get involved with. Weather in September was boiling sun shining only had 2 days of cloud in are whole 2 weeks and not much rain either. As we're 2 young girls have to say imagine in the best nightclub to go to in the cave best night ever! Went on the dolphin excursion it was so amazing il remember it forever dancing and getting pulled through the water by them was so fun. Best vacation ever! we just landed in punta cana, on sunday afternoon, Air transat. checking in was not long, this resort is an bhour away from Air port but very nice place. i loved the food, the animators, shows every night and those buffet gives you different choice to choose. there is a BBQ on the beach daily from 11:30 to 2:00PM. they have chicken, pork chops and hamburgers/ hotdogs. their pork chops are awsome.hamburgers are already 1/2 cooked and they BBQ grill it to finalize the cooking process. chicken is chicken just that it is dominican, same taste. long walk from different buildings to the main one but there is enough to do and see and you won't be bored walking some times. Staff sre very nice and friendly, security in this resort is number 1. al la cart restaurants, i liked, sea food, steak house the most since the rest is the same as what you have also in the buffet, (my opinion). your money is worth any thing you paid in this resort. italian restaurant is good for italian food lovers but since my wife is italian i eat my share of italian food that is the best at home and sofar realistically, i have not had an itlian dish some where else that was better than my wife's. :). they have daytime animations around the pool and the beach is nice. we always went too early in the morning, like 5ish AM to reserve beach chairs, you just put your towels on them, no one else will use it. the trip was too short, A week is not enough but next time i will stay longer. "relax - or party - in paradise - your choice"
We have just returned from spending a month at the Sirenis and have come back recharged - and several pounds heavier! Our room was really a mini flat, with our own entrance hall, separate bedroom and bathroom and lounge, plus a lovely balcony which could be accessed from both the bedroom and lounge. The staff were superb and friendly and the whole place was immaculate. 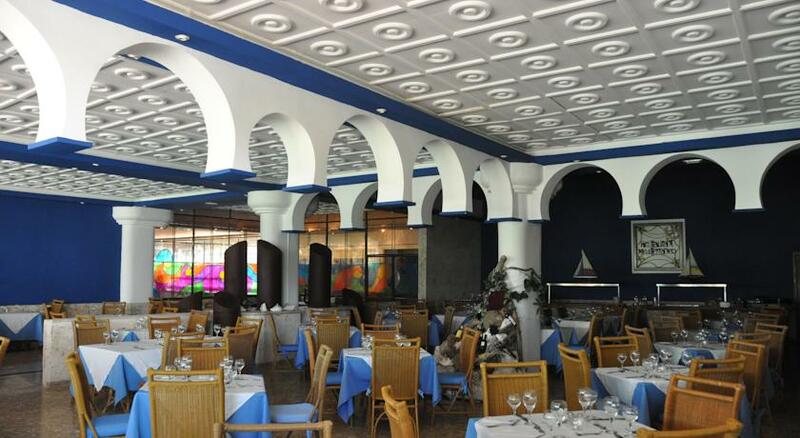 With 2 buffet restaurants and seven a la cartes (as well as 2 pool and 1 beach buffet) everyone's taste was catered for and the food was of a very good standard. Add to this that the hotel had its own waterpark 5 minutes walk away (free entry to guests) and you couldn't go wrong! As Arnie says - "I'll be back!" As a family of 4 we stayed for 14 night. We had a great holiday, sun, sea, palm trees and a great hotel. The room was as advertised, a family room with 2 double beds and a living room with TV and a sofa bed which was also comfortable. My son did sleep on here towards the end of the stay as he thought his sister took up too much of the double bed. the food catered for all taste and there was also tables available no mater what time you went in to the main restaurants. We booked for the Stake house, Italian, Mediterranean and the Mexican restaurants, you need to book early on during your stay to ensure you get what you want, we did go to the Stake house twice even though we were told initially that you could only book 2 per week, so please book early and then go back and ask to book again, they can always say no. All the staff we met were very friendly and helpful. The only slight problem we encounter was one night the maid had not left enough towels, a quick phone call to reception saw additional towels delivered. We went to the water park an number of times, again no queue and friendly staff. This kept the kids happy before either heading to the pool or the beach. We did drop towels on sun beds on the way to breakfast around 8.30am, there were always plenty to choose from even if you were running late or did n't want to grab beds early, a complete change to our experience in Turkey last year. The pace of life is nice and steady, something that helps to relax and enjoy your holiday from the moment you arrive. I can recommend this resort as a family holiday, we thoroughly enjoyed our time at the Sirenis and were extremely sad to leave. "Clean, gorgeous hotel perfect for familys"
Just come back from holiday here with my wife and two kids (9-12) after a long flight and hour transfer was welcomed by friendly staff with cocktail at reception, our room was in the tropical side and in p block so was a bit of a walk to reception but was very close to pool and beach, room was basic but very clean, and cleaned daily with fresh bottles of water and pop too along with fresh clean towels everyday. Food in the buffets was always good with something for all tastes, a but puzzled by some of the negative reviews on here regarding hotel and staff as I found them really friendly and helpfully all the time also nice to know that the kids got treated really nice when they went for a drink themselves, entertainment was really good and very well put together. As for the negative comments regarding the sales on the grounds on market nights this again confused me as when they asked if I want to look when I replied with a no thank you with a smile they backed off and was really friendly. The waterpark in the grounds is amazing and again clean with friendly staff and kept my 2 very entertained all day allowing me and the wife to enjoy a bit of sunbathing also really recommend trips to saona island as its such. Beautiful beach which was used to film the bounty choc bar tv ad years ago. Basically if I had to some this holiday in one word I'd use''Paradise"
"Sirenis Tropical & Cocotal Resort... A real family resort"
Let me start by saying that we are a family of five, my wife and I have 3 sons aged 9,12 and 14. We returned on 22 August from this resort and would have stayed longer. Its not 5 star but its a really beautiful place. We stayed in the Tropical side which I beleive to be more modern in upstairs rooms in block N with a view of the beach and the pool. The pool has a number of areas to suit all, some quiter areas, but it is a family resort so expect children. We did have some initial problems with our beds for 3 boys, but Franklin on the desk sorted this immediately. I also found keeping the maids happy with a few dollars US helped to smooth things during our stay. The buffet food is varied and caters for most tastes and is not 5 star but pretty good and enjoyable. We did enjoy the Jade and Steak house a la carte restaurants, but book as you arrive as they get full. Its good to take lots of one dollar bills for tips as its appreciated and helps to ease your stay. The Beach was glorious and clean with wonderful Palm lined areas, and we tende to walk down the beach to find a quiet spot and sometimes felt like we were on our own - wonderfull to be away from the crowd. The staff were so friendly and Lirenzo in the resaurants became a real friend to our boys - great guy and always so happy. The gardens are beautiful and well maintained and full of lizards, geckos, toads and all sorts of exciting creatures if you look for them as do my boys - kept them happy for hours. The watersports were great - we took the Hobbiecat out and canoes, we also took the scuba lesson in the pool. The Waterpark was a good day out and all inclusive too, a pleasant change and the boys loved it. We only took US dollars in many values but do take one dollar bills for tips, it is really useful. As for trips out, we chose to go with Mike Bryant for a personal look at the Dominican Republic which was great - www.puntacanamike.com - we did the Munchies at Macao trip - its personal and you are not in a cattle truck with a huge group of strangers... We also went on a Dolphin Experience with Dolphin Explorers, we chose the most expensive trip, but it is a real treat for the children so I would recommend this. And finally we went on the Bavaro Splash tour which has Speedboats, snorkelling and Snuba, which is greta for those adventurous family types and a really fun shared time. We met a lot of people who were quick to complain about this hotel for many reasons but if you go prepared to accept something less than perfection but determind to have a great family time then this is a great resort. I was in contact with Jaochin the hotel manager ahead of travelling and he was great at helping me with my questions and making sure our stay was good. We will be returning as soon as possible. "I would return to this hotel any day!" Let me begin by saying that the beach is stunning, extremely clean. The pool was huge and very clean, the water was hot which made you want to stay in the water the whole day. We had taken the renovated room which was very big and comfortable. The cleaning staff did an amazing job on the maintenance of the resort, especially the rooms. The entertainment was at its best. They would keep you pumped up and entertained at all times. The shows at night were very good. If you decide to go to this hotel, make sure you go and see the Michael Jackson show because the animators do an amazing job at impersonating this legend. The staff was very friendly, going out of their ways to make sure you enjoy your stay at their hotel. However, the variety of food wasn't that big, but the a la carte restaurants were good. The only thing I have to complain about is the Mediterranean restaurant which could be improved. I would highly recommend this hotel and I am pretty sure that you will enjoy your stay there. We stayed at this hotel some time ago and then returned to another hotel with some friends. We were very disappointed second time round and kept comparing it to the wonderful suite we had at Sirenis, the brilliant food and the friendliness of the staff who couldn't do enough for you. We are going again this year in September and I have been so excited since we booked it, we can't wait. Unless something extremely drastic has happened, I cannot see any reason why we are not going to enjoy it as much as last time, it is not often I recommend hotels, however this is one I always recommend when someone tells me they are going to the Dominican, and friends have also not been disappointed. I look forward to seeing everyone again soon. Hopefully we will have an upper floor room again this year, to be honest we don't really care where it is situated as they are all nice and who cares about a bit of a walk to the beach of reception, you are on holiday. Regular Rate $ 1605 . Today Only $399!